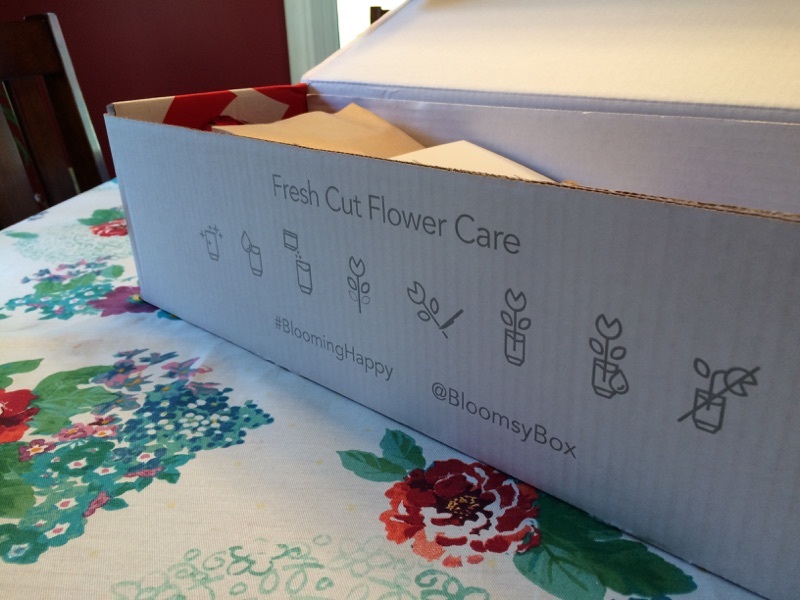 I was so excited when the good people at Bloomsybox.com contacted me and asked if they could send me a bouquet. That’s the first time anyone ever asked me if they could send me flowers. Of course I responded with a resounding YES! 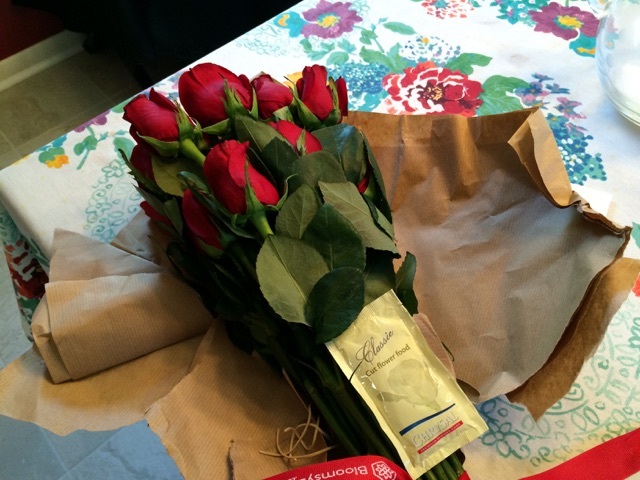 What arrived was this gorgeous bouquet of red roses. 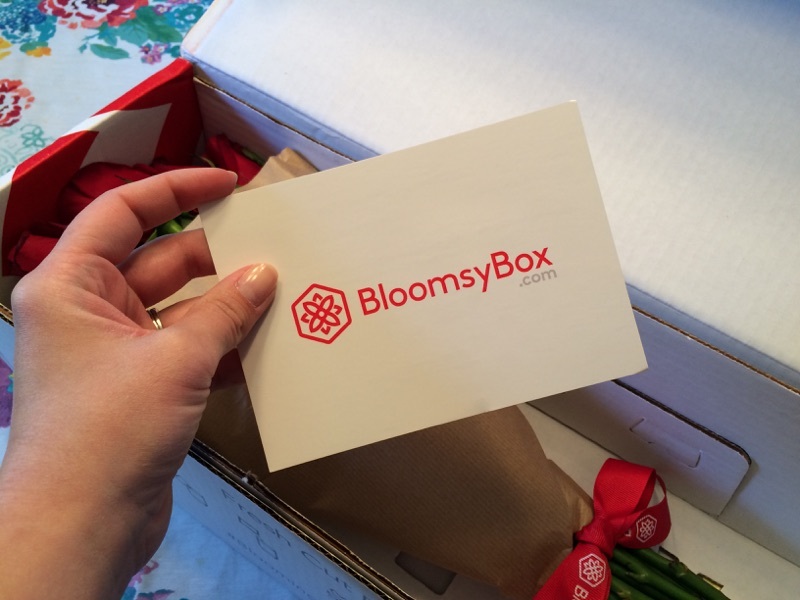 If you haven’t heard of Bloomsy Box yet, it is a subscription service providing a monthly single-variety bouquet to spruce up your home or delight someone you love. Subscriptions start at $34.99 a month and all bouquets come with free overnight shipping anywhere in the United States. 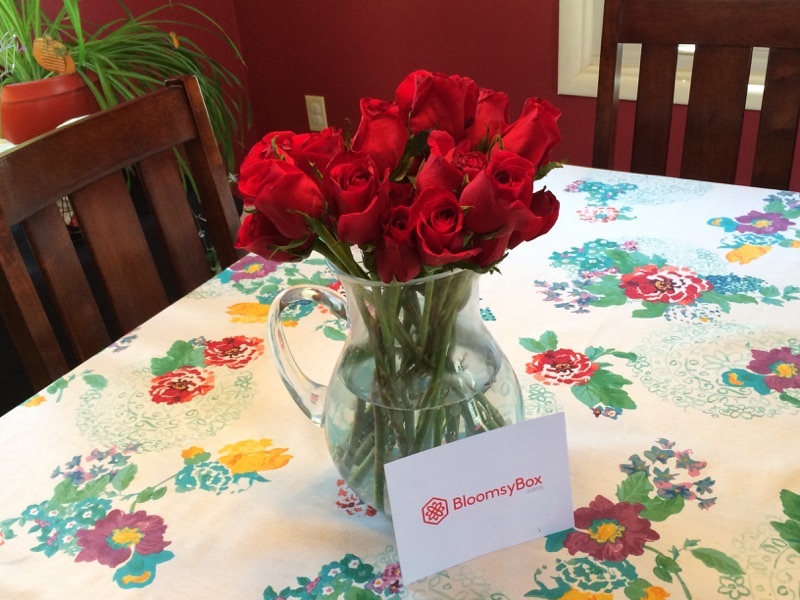 The blooms you receive are a surprise each month, which is a concept I love. 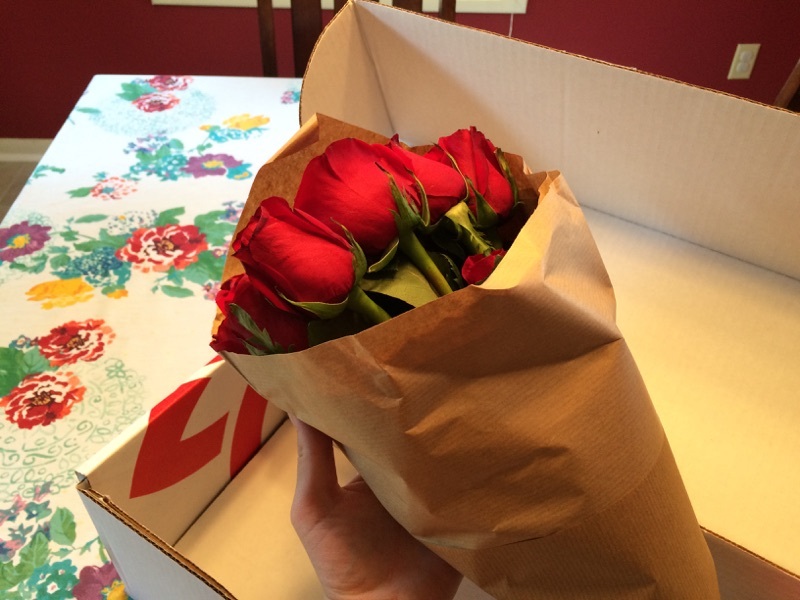 It’s like sending yourself flowers, but still having the surprise of receiving them from someone else! 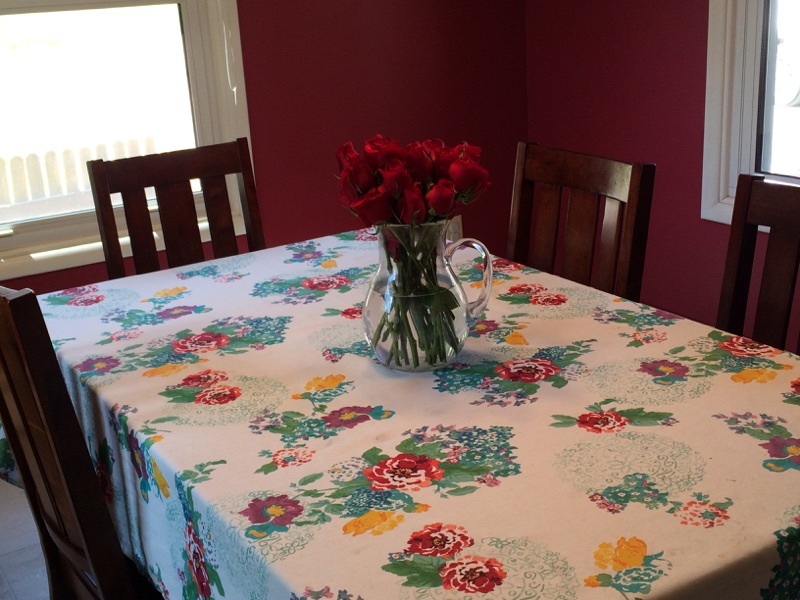 The flowers are wrapped and come with flower food, but no vase. If you’re like me, that’s absolutely no problem because I have gobs of old vases and pitchers just waiting in the cupboard in case someone (hubby?) decides to bring me flowers on a whim. I opted to use this crystal pitcher we received as a wedding gift. 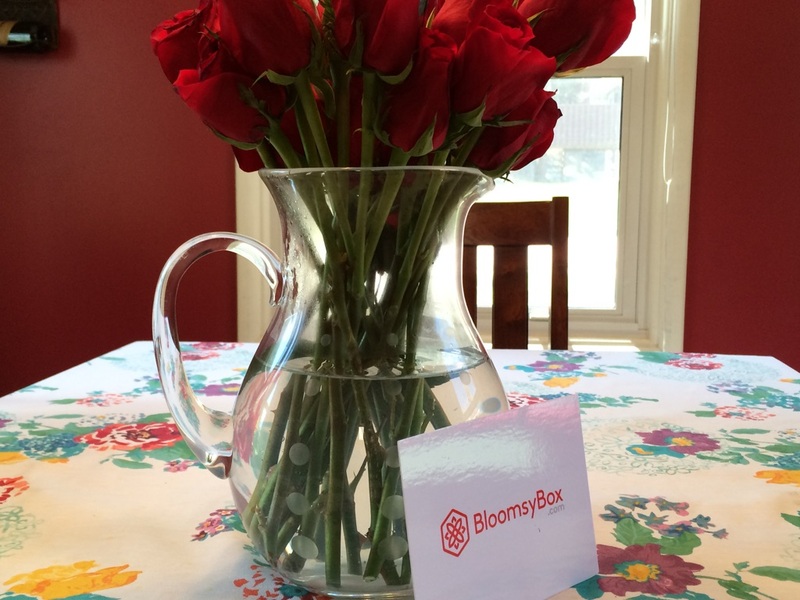 They also feature a weekly subscription option if monthly flowers just aren’t enough. You can skip a month, change plans, or cancel anytime, no questions asked. Plans auto-renew and may be cancelled at any time. Orders placed by May 4 will be delivered May 6, just in time for Mother’s Day! There are also some gorgeous bouquets you can select to send to someone special for a one-time-only purchase. I’m partial to the big bunch of sunflowers. 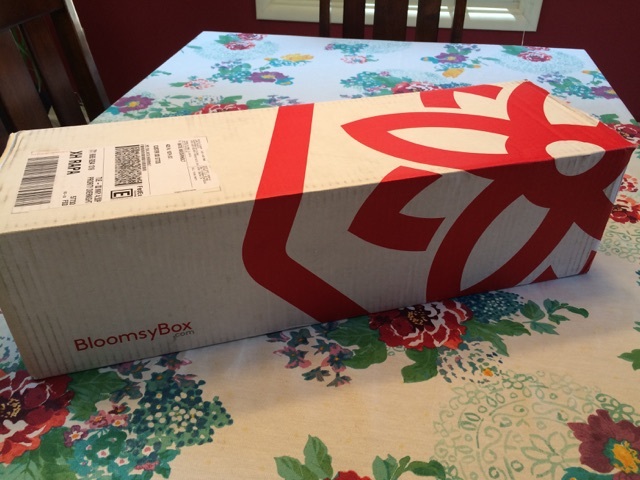 Note: Bloomsy Box provided a free box of flowers to A HOUSE WITH CHARACTER for this post, but all opinions expressed are truly my own.